Posted on 02. Jul, 2010 by Corey in All, Dayton Dragons Baseball, General Baseball. Clark from West Carrolton asks: I have been to a few games and seen you on the dugout rail using some type of phone or handheld electronic. What are you doing? Clark, thank you very much for your question. I am sure a few people have seen me and wondered if I was on my phone or what I was doing during the game. 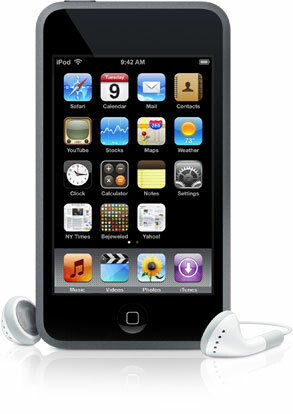 What I have in my hand is an iPod Touch that I use to assist Dragons Pitching Coach Tony Fossas. I have downloaded a program by Power Chalk called 1,2,3 Pitch Counter, that I use each night. This program helps me keep track of balls and strikes for each pitcher that the Dragons send to the mound, and ultimately the overall pitch count. This number becomes more valuable as the game moves on and Fossas must track how many total pitches the pitcher has thrown and when to get the bullpen up and ready. The program also allows me to get the percentage of strikes thrown by each pitcher to see how accurate they are each outing. The best feature is that the stats compile, and I can look back at any particular game or individual pitcher to see the breakdown. So next time you look into the dugout at Fifth Third Field or any game on the road, I really am doing work!! If you have a question or comment that you would like me to answer, please send me an email at corey@coreybrinn.com.